Baby boomers, or those born between 1946 and 1964, make up nearly 30% of the U.S. population. With this group reaching retirement age, new concerns are emerging when it comes to planning for retirement and long-term care. Recently, 3,300 respondents participated in a landmark study, “Health and Retirement: Planning for the Great Unknown,” conducted by Merrill Lynch and Age Wave. The study explores those who are on course for the future and others who may face challenges due to lack of personal preparation. Below are the four boomer “healthstyles.” Do any of these represent you or a loved one? 1. Healthy and Proactive (29%): These individuals take charge of their health care and related finances. 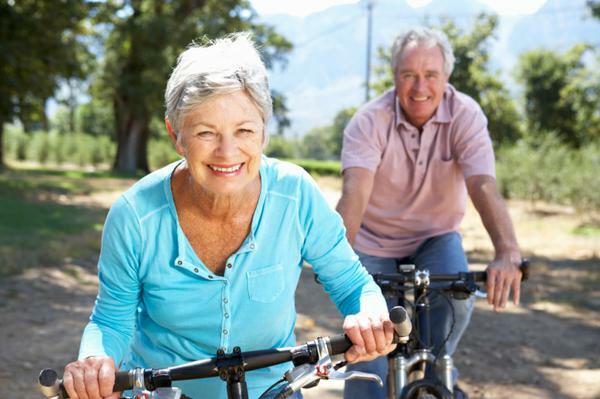 They are the most actively engaged in healthy behaviors such as exercise and eating well, have the most positive attitude about their health, and also feel well-prepared for health care costs, retirement, and long-term care. 2. Lucky but Lax (10%): These individuals have been fortunate to be relatively healthy so far, but exhibit little interest in taking care of themselves or planning for future health and long-term care costs, leaving them vulnerable to future, unexpected health disruptions, and financial disasters. 3. Course-correcting and Motivate(29%): These individuals experienced a health “wake-up call,” such as an illness or diagnosis, and are now trying to improve their health by seeking out information and tools, as well as adopting healthier behaviors, and planning for the future. 4. Challenged and Concerned (32%): These individuals are struggling with health difficulties, yet many are not actively taking good care of their health or planning for the future. They are the most worried about the impact of illness on their finances, and feel overwhelmed and confused. According to the research, seven in 10 people will require long-term care (LTC) in their later years, and a majority of the boomers described above figure they’ll be among the lucky 30% who won’t need assistance with the activities of daily living, such as walking, eating, toileting or bathing. • More than half of retirees retired earlier than they expected, and the number one reason for their early retirement was a health problem. • People cite Alzheimer’s as the scariest health condition of later life (54%), more than cancer, strokes, heart disease, diabetes and arthritis combined. • People are more concerned about the financial impact of a spouse’s serious illness (66%) than they are about their own illness (62%). • Those who are age 50+ anticipate they would help other family members facing health problems and health care costs. This may be one reason why people’s concerns about how to plan for health care costs include potential health problems of their children (50%), parents (32%) and siblings (29%). The Merrill Lynch/Age Wave report encourages you to learn as much as you can about your options to address the threat of health care and long-term care expenses in retirement, and to take actions to address these threats. Sadly, most people needing long-term care — and their families — wind up shouldering these costs alone, since Medicare does not pay one penny for long-term care bills and the private long-term care insurance market is getting pricier and shrinking. In fact, the cost of long-term care insurance policies rose 8.6%, on average, compared with a year ago, in the latest American Association for Long Term Care Insurance (AALTCI) Price Index. And, according to Forbes, sales of new stand-alone long-term care insurance policies have plummeted by 75% from a decade ago, and 90% of the carriers that were selling long-term care insurance 10 years ago have withdrawn from the business. Medicaid Planning in Virginia and other States. Medicaid planning can be started while you are still able to make legal and financial decisions, or can be initiated by an adult child acting as agent under a properly-drafted Power of Attorney, even if you are already in a nursing home or receiving other long-term care. In fact, the majority of our Life Care Planning and Medicaid Asset Protection clients come to us when nursing home care is already in place or is imminent. Generally, the earlier someone plans for long-term care needs, the better. But it is never too late to begin the process of Long-term Care Planning, also called Lifecare Planning and Medicaid Asset Protection Planning. The Living Trust Plus™ (LTP) functions much like a Revocable Living Trust and maintains much of the flexibility of a Revocable Living Trust, but protects one’s assets from the expenses and complexities of probate PLUS lawsuits PLUS nursing home expenses while the creator of the trust is alive. The LTP protects the trust creator’s assets from lawsuits, medical expenses, and — most importantly for the 99.8% of Americans who are NOT among the ultra-wealthy — from the devastating costs of nursing home care. For most Americans over age 65, an LTP is the preferable form of estate planning and asset protection because for purposes of Medicaid eligibility, this type of trust is the only type of self-settled asset protection trust that allows a settlor to retain an interest in the trust while also protecting the assets from being counted by Medicaid.